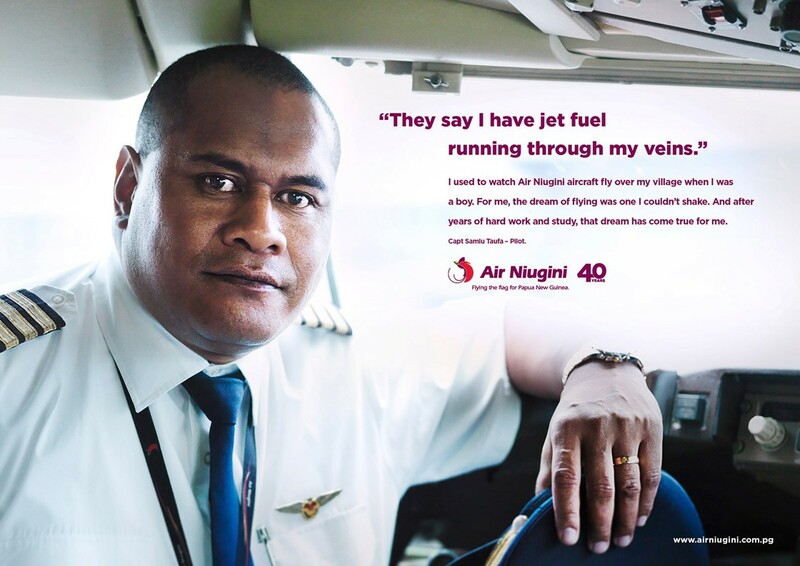 The terrain of Papua New Guinea is mountainous, sparse, and unforgiving. 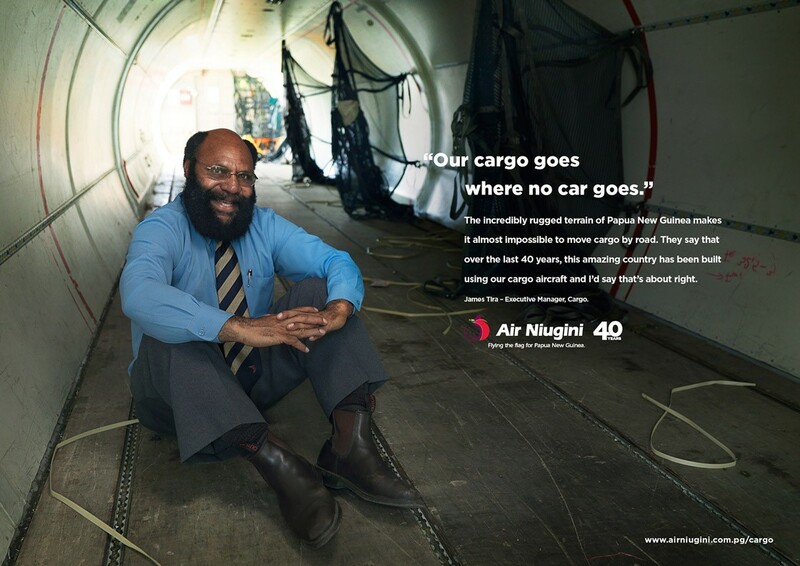 Without air travel, living on PNG would be near impossible. 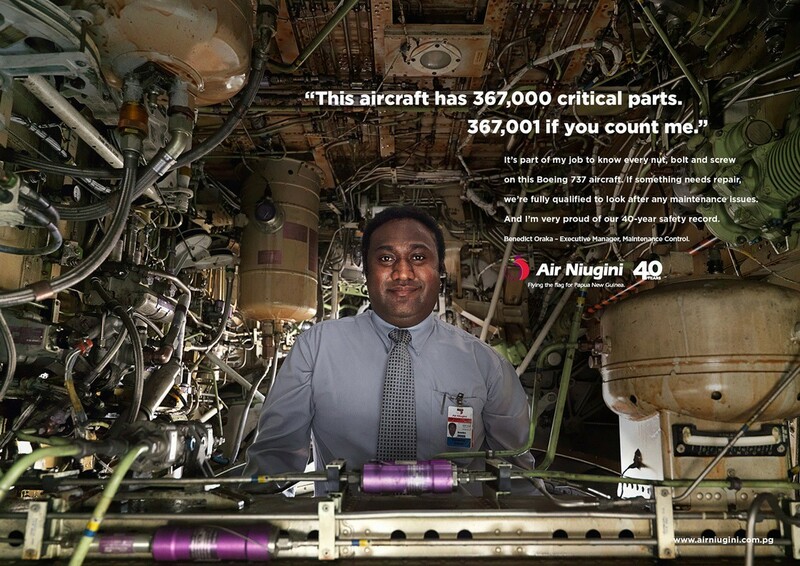 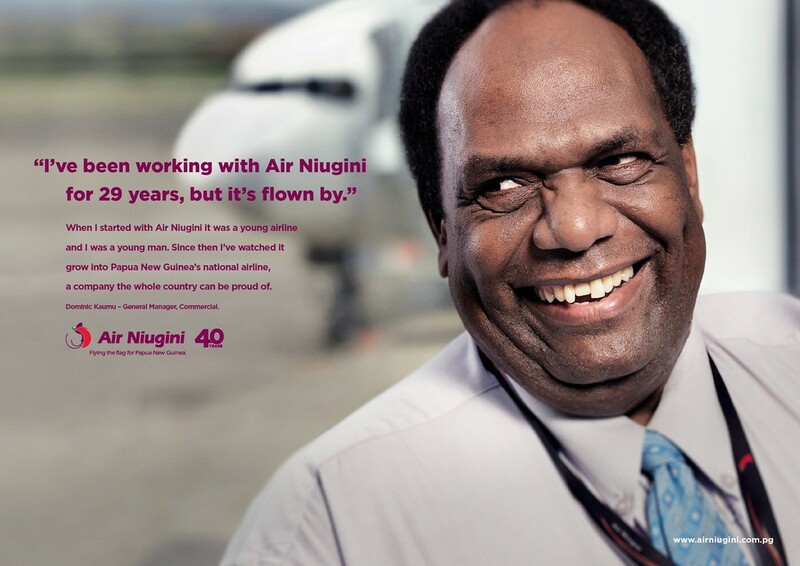 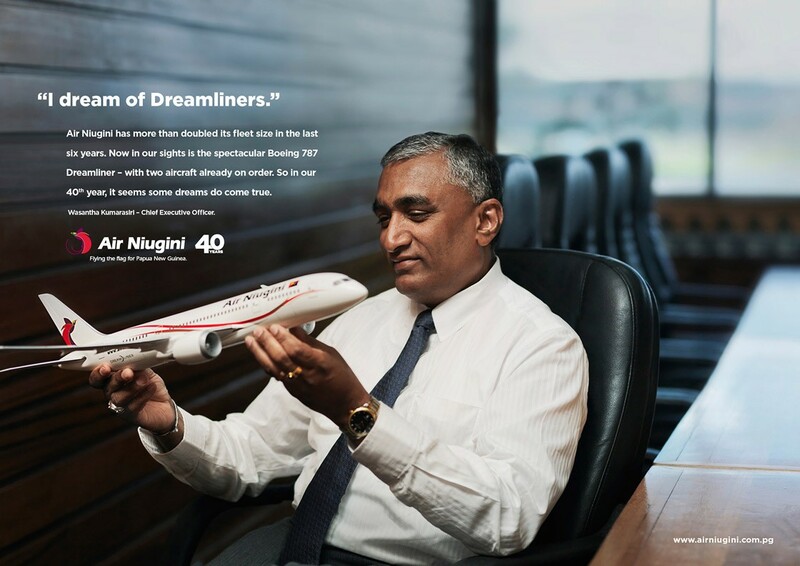 As PNG’s oldest airline, Air Niugini had literally built the nation. 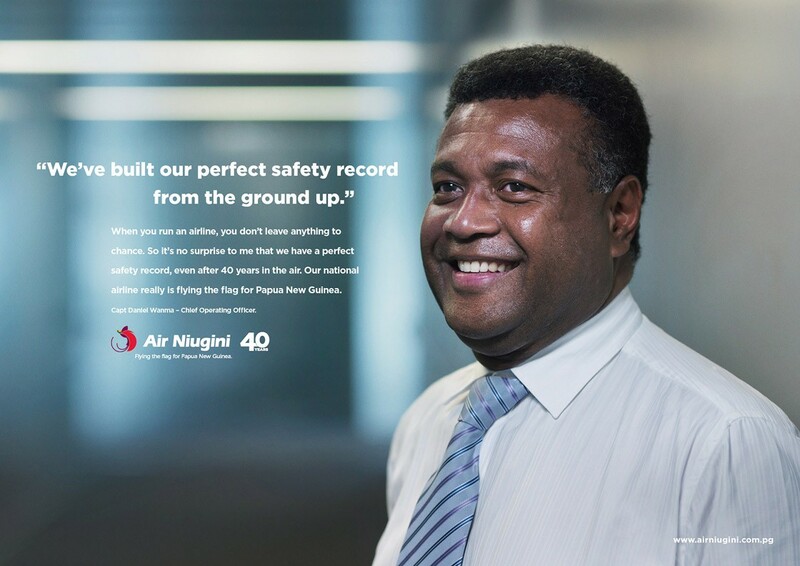 After a chance meeting with some Air Niugini Execs while travelling through L.A.X., Michael pitched in the idea which lead to the rebrand of the airline. 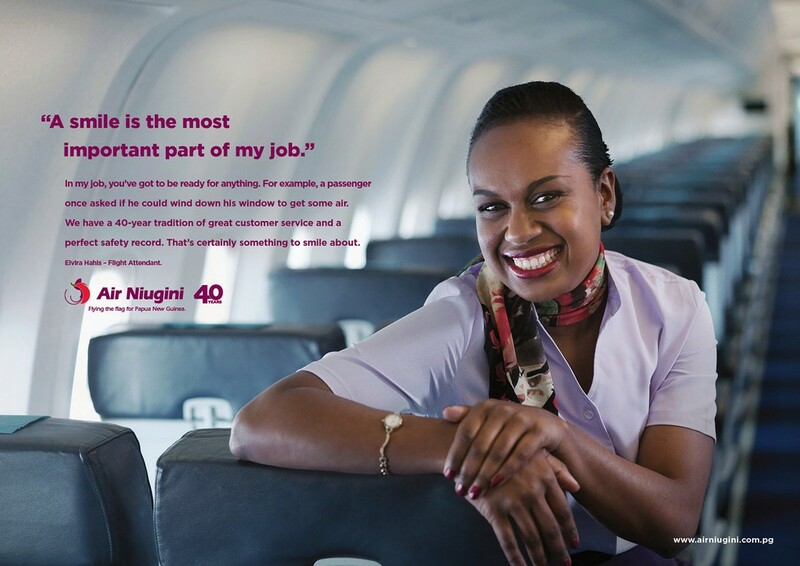 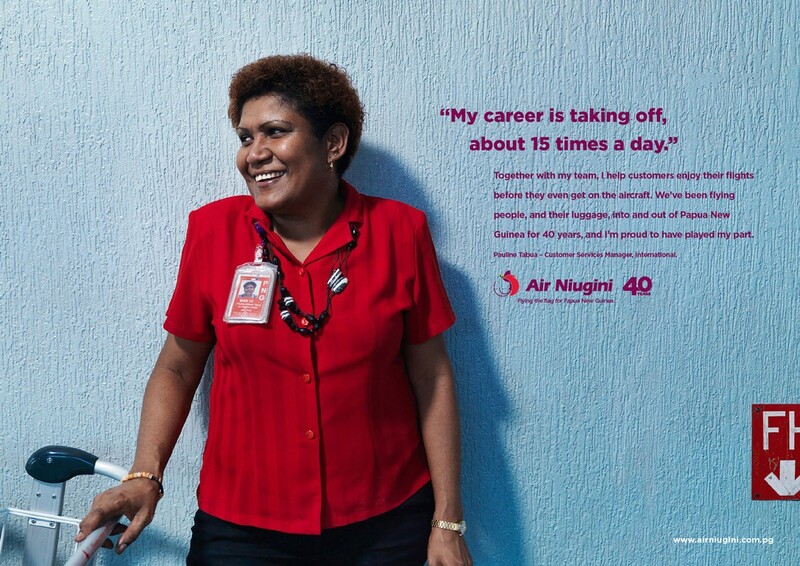 We used real people who worked for the airline as the face of our campaign, to position the airline as proudly flying the flag for Papua New Guinea. 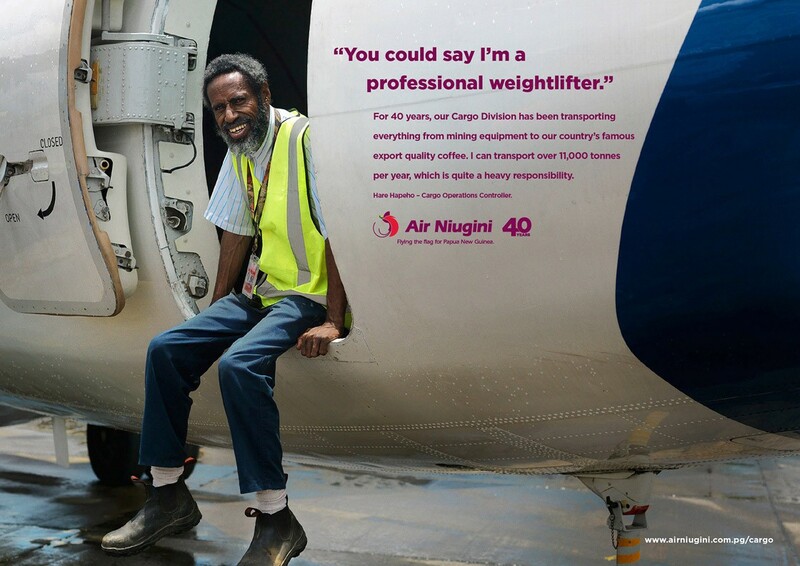 The campaign rolled out across print, OOH and digital banners in airports around the world.